Holding asymmetrical loads in the hands is common during many daily and occupational activities which, depending on the load mass, may alter postural stability. 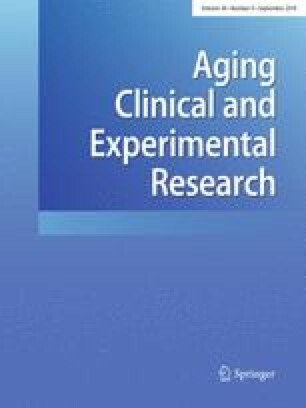 The purpose of this study was to determine the effect of load magnitude held asymmetrically in the hand on postural sway in older people. Eighteen healthy older adults (age 65.9 ± 5.7 years) were assessed in the following conditions; (1) standing without an external load (0%), (2) standing while holding a grocery bag containing 5%, (3) 10% and (4) 20% body mass in the dominant hand. The total displacement of the centre of pressure (COP) in the anteroposterior and mediolateral directions (cm), mean COP velocity (cm s−1) and COP area (cm2) were used to indirectly assess postural sway. The COP area (R 2 = 0.96), anteroposterior (R 2 = 0.85) and mediolateral (R 2 = 0.84) COP displacement increased linearly with additional load. The 20% load condition elicited the greatest increase in postural sway (d = 2.1–3.6) compared to 0%, while the 5% load had no effects on sway (P ≥ 0.05). In contrast, the mean COP velocity decreased by similar amounts when holding a load at 5% (d = 1.6), 10% (d = 1.4) and 20% (d = 1.5) body mass, compared to 0% (all P < 0.001). The slower COP velocity, combined with greater COP displacements may suggest that postural reactions were restricted and/or delayed. From a fall-prevention perspective, it is advised that older people avoid holding asymmetrical external loads greater than 5% of body mass. The authors had no financial or personal relationships with other people or organisations that could inappropriately influence the work submitted in this manuscript. All study procedures involving human participants were in accordance with the ethical standards of the institutional research committee and the study was carried out in accordance with the guidelines outlined in the declaration of Helsinki (1964). Written informed consent was obtained from all participants included in this study, as required by the Helsinki declaration (1964).